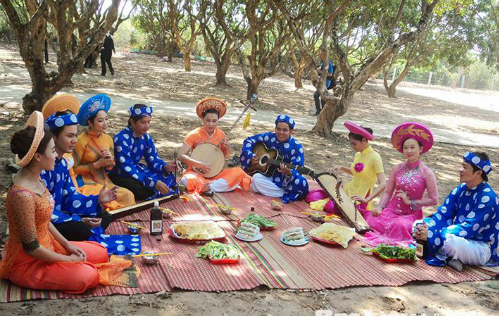 The villa, longan garden and white salt fields of well- known prince of Bac Lieu are most attractive destination in Bac Lieu. From the past, Bac Lieu is famous for a rich and fertile land. With 156 km coastal line and important sea entrances such as: Ganh Hao, Nha Mat, Cai Cung, Vinh Hau, Bac Lieu which has quickly become cargo transshipment in and out province. Due to association with the well-known name of dubbed Cong tu Bac Lieu (the dashing gentleman of Bac Lieu), it is reason why many visitors are curious to visit the ancient villa of Cong tu Bac Lieu first. 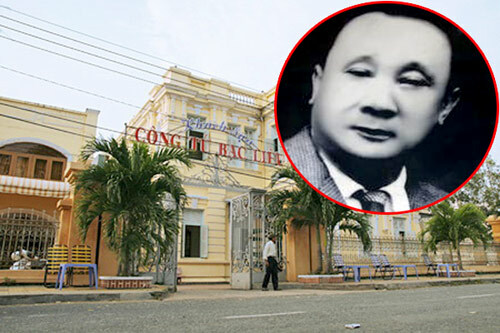 According old stories, there were not any gentlemen of Bac Lieu as rich and ostentatious as Tran Trinh Huy- the dashing gentleman of Bac Lieu. Cong Tu Bac Lieu shocked the whole country when he visit his fields by air, because at that time there were only two airplane in Vietnam, one of Tran Trinh Huy, one of King Bao Dai. Many people also said that the Black Prince is renowned for “burning money to cook congee” to get the attention of a girl. The house of the Black Prince is located at number 13, Dien Bien Phu street, ward 3, Bac Lieu city, now it is Cong Tu Bac Lieu hotel with 6 bedrooms. In which, there are 5 common rooms with rate 250,000/ a night, particularly the Black Prince’s room costs as twice high as others, but tourists must book in advance because many people also expect to stay in this room. The house was built with French imported materials in 1919 and designed by French architect. Bac Lieu longan garden stretches 11 kilometers through two communes Hiep Thanh and Vinh Trach Dong. Everyone knew southwest Vietnam area is a land of fruits and this is a special longan garden of the Mekong Delta and called with the name 100 year longan garden. Amateur music in the middle of ancient Bac Lieu longan garden. 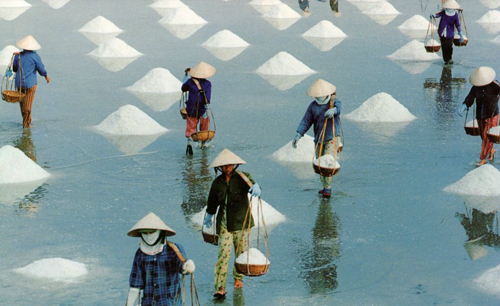 Bac Lieu is not only famous for the Black Prince, fruit gardens and amateur music but also for white salt fields. These fields supply a large amount of salt to the Mekong Delta; therefore, white salt fields are a typical image of Bac Lieu province. Such these salt fields are divided into compartments and lines. Under strong sunlight, salt makers are working hard. Visiting Bac Lieu in one day is just enough to understand the soul and friendliness of people here. The culture is preserved through the amateur music, the freedom of birds or drops of sweat rolling on salt makers’ faces.